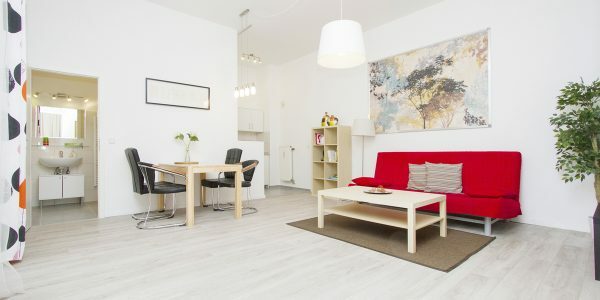 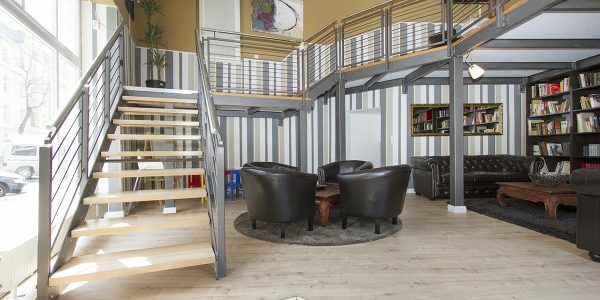 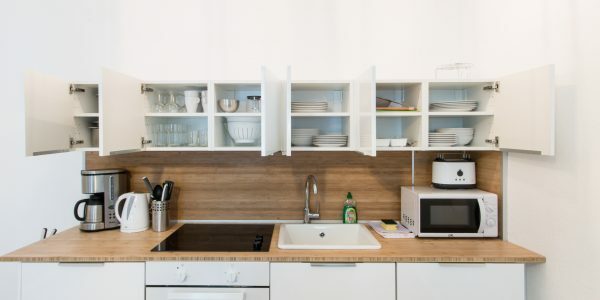 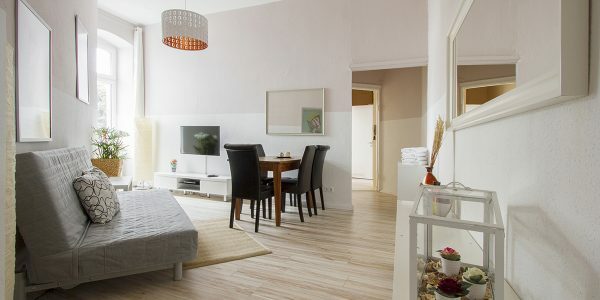 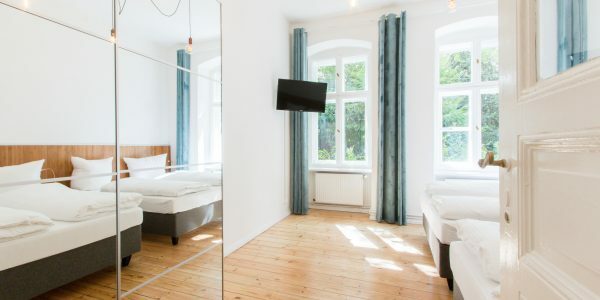 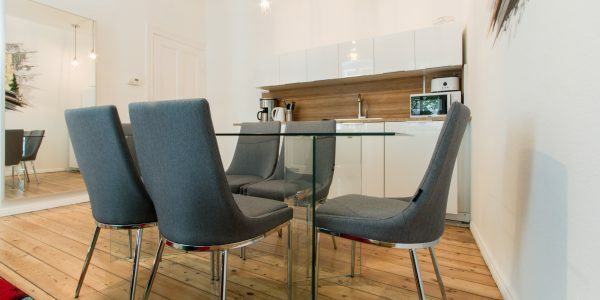 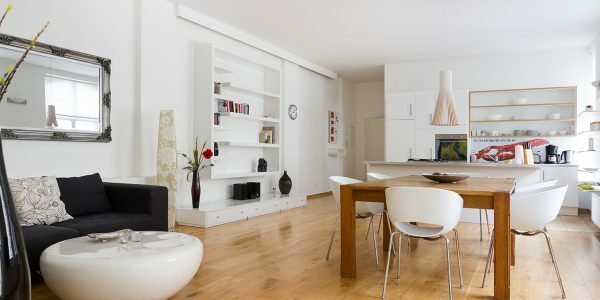 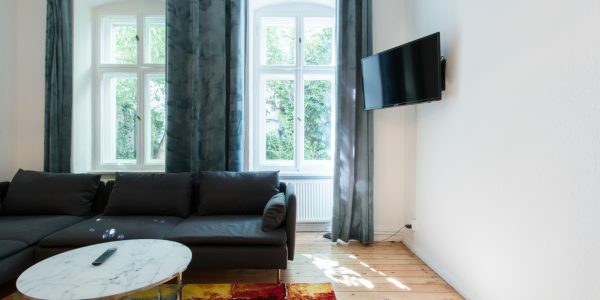 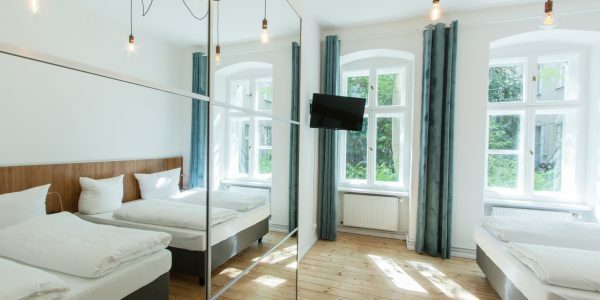 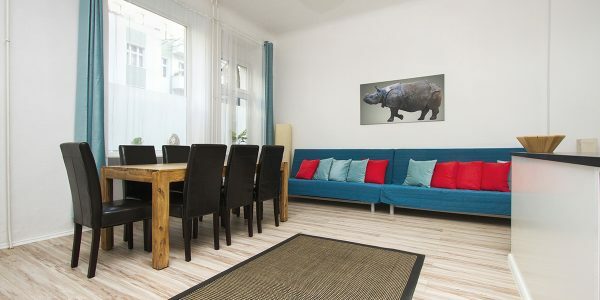 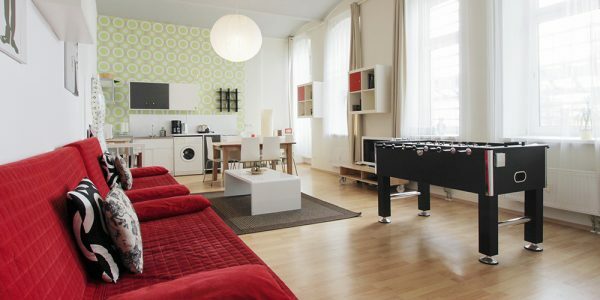 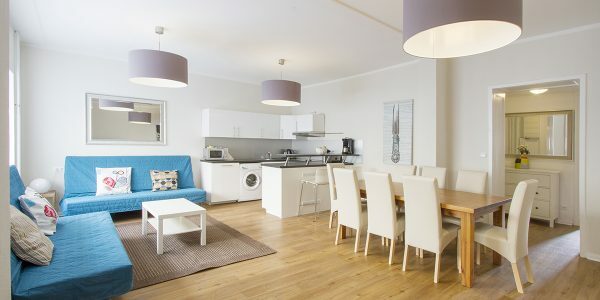 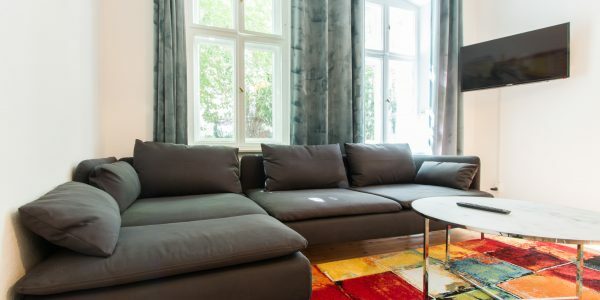 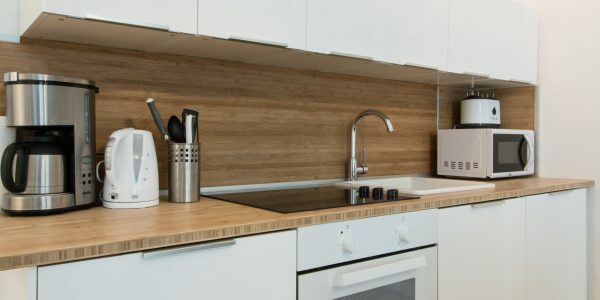 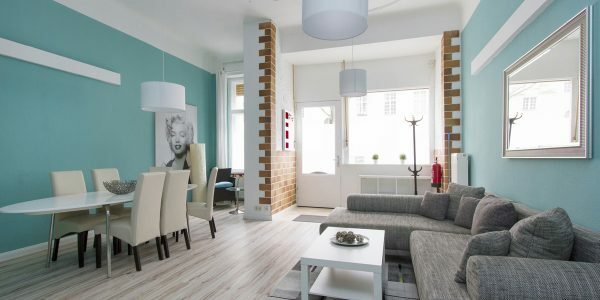 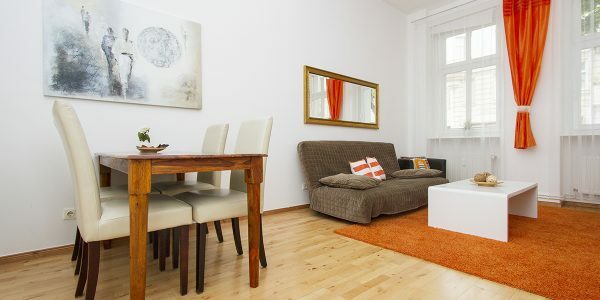 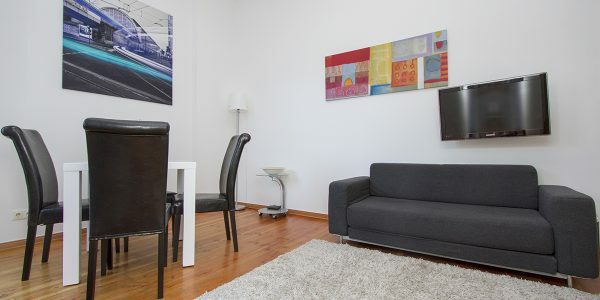 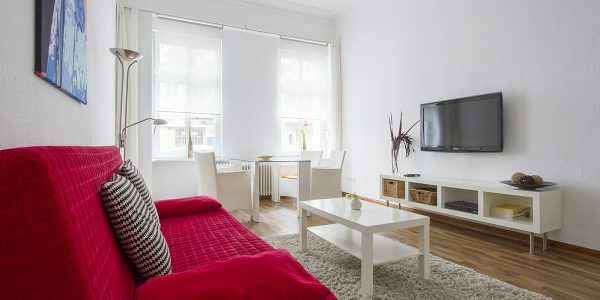 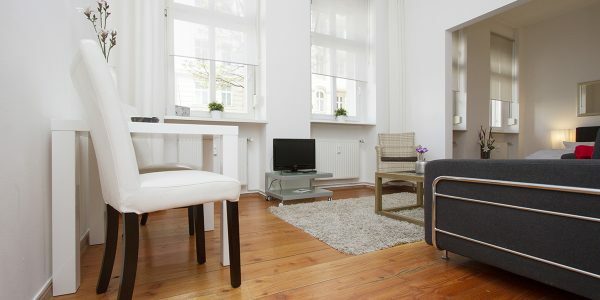 Fully equipped and quiet apartment at subway station Seestraße with WIFI. 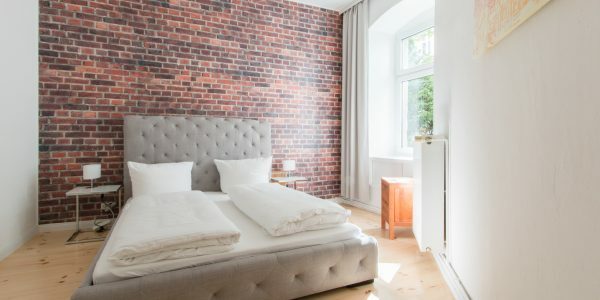 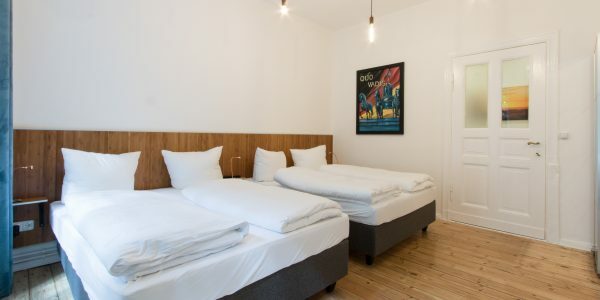 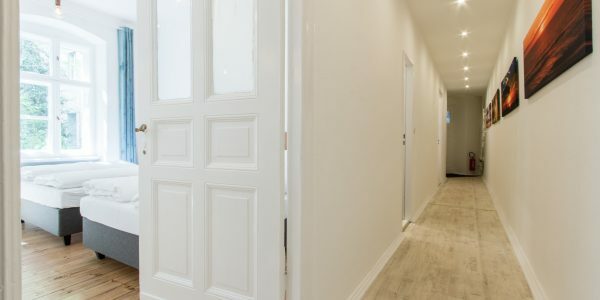 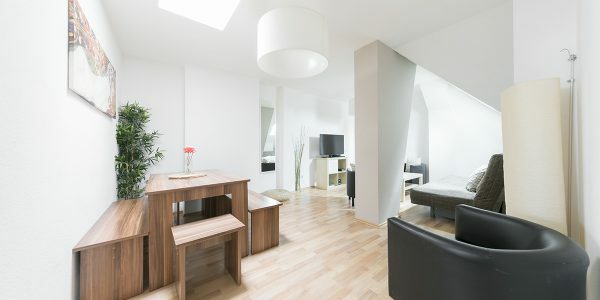 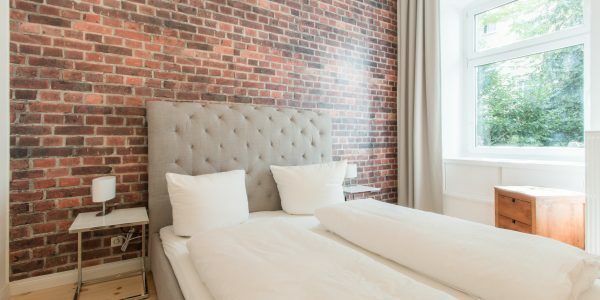 Welcome to our brand-new two room Berlin style apartment! 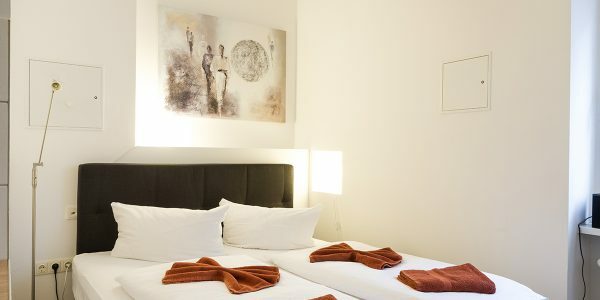 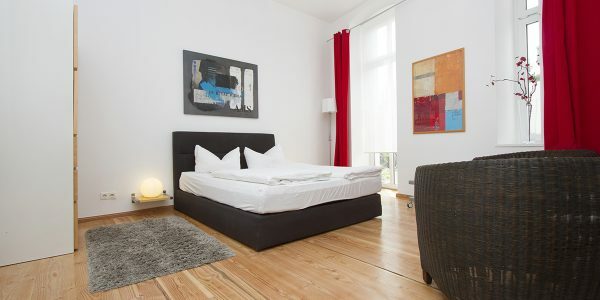 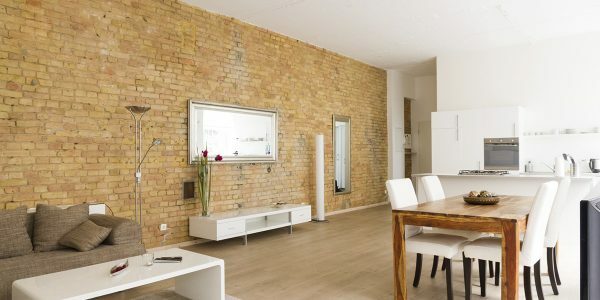 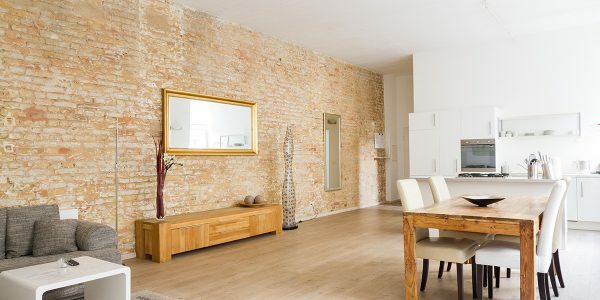 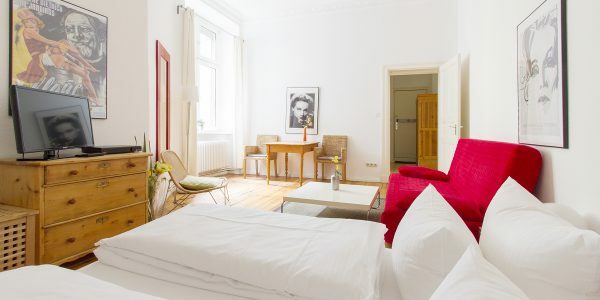 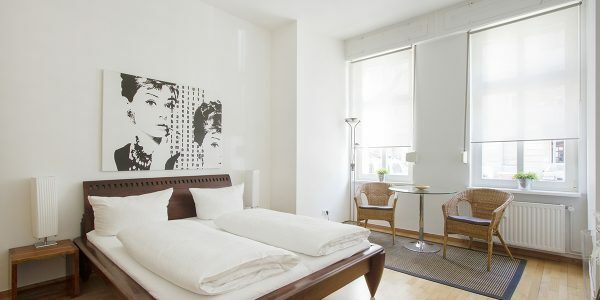 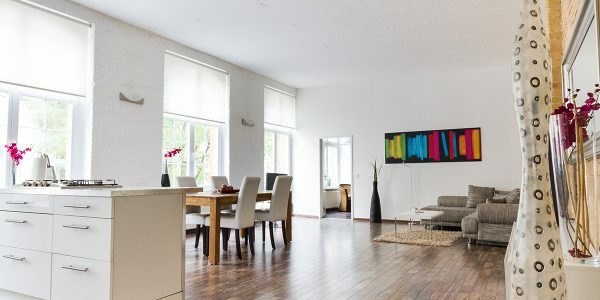 The apartment is located in the heart of Berlin: in fascinating district Wedding/Mitte. 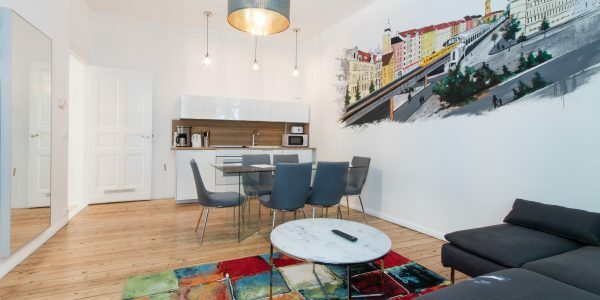 The neighberhood reminds you of the famous pulsing Kreuzberg within the 80ies. 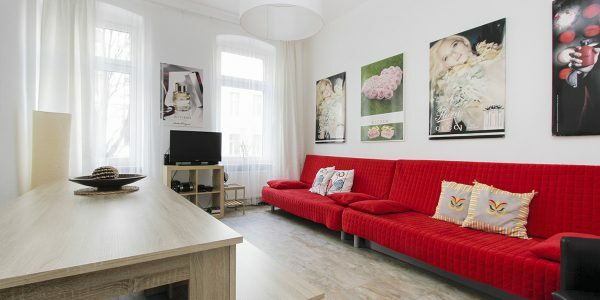 Turkish stores, shishabars and moviecenters as well as modern artgaleries and innovative offtheaters are shaping the atmosphere of this district. 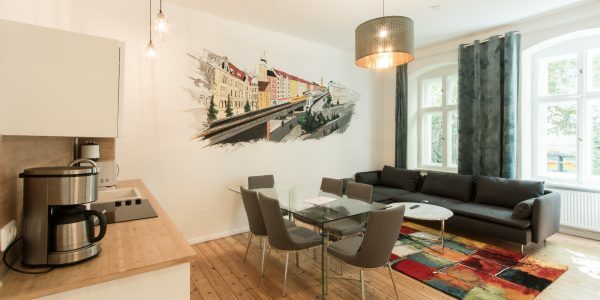 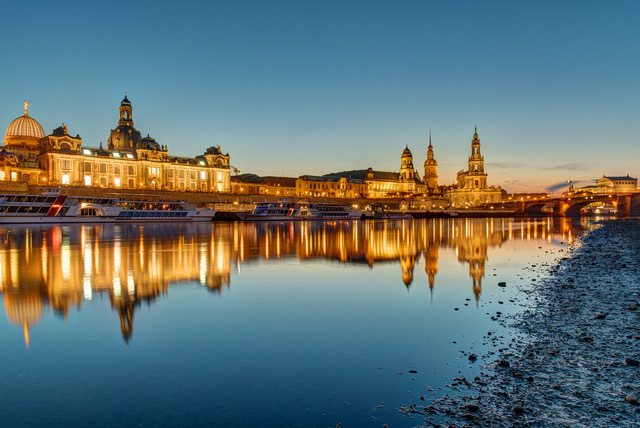 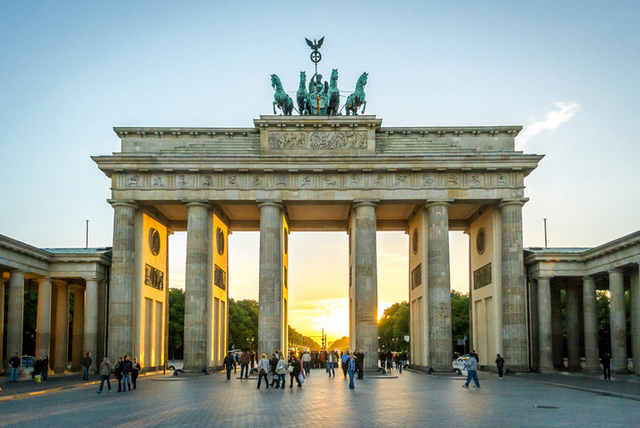 Students, artists, old- and newberliners are creating that dynamic and unique berlin vibe. 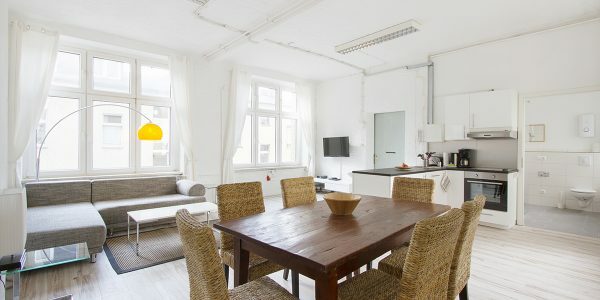 The apartment is typical for the turn of the century architecture: high ceilings and spacious rooms. 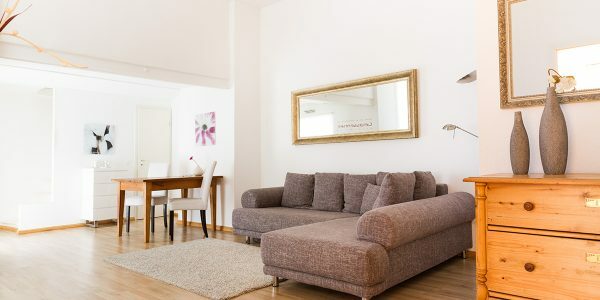 The living room offers a fully equipped kitchen and a glass eating table plus a huge couch with a flat TV. 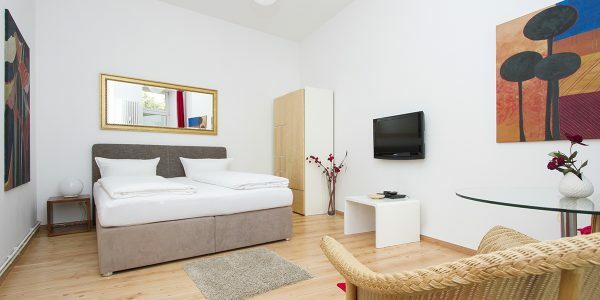 The 1st bedroom includes one double bed. 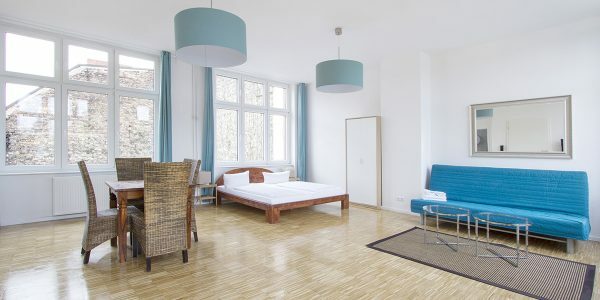 The 2nd bedroom includes two double beds and a huge shelf. 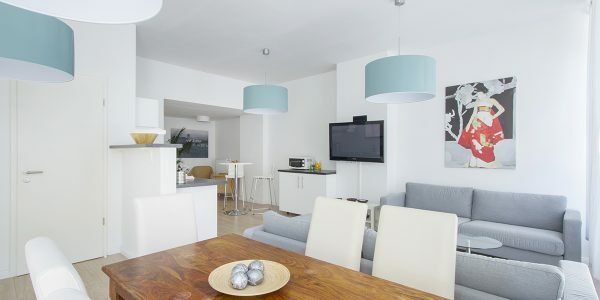 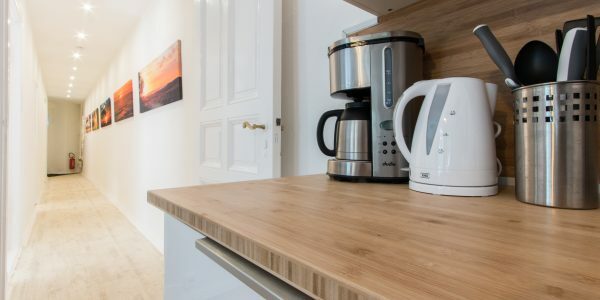 The kitchen is very spacious and gives you the opportunity to cook, eat or just to chill. 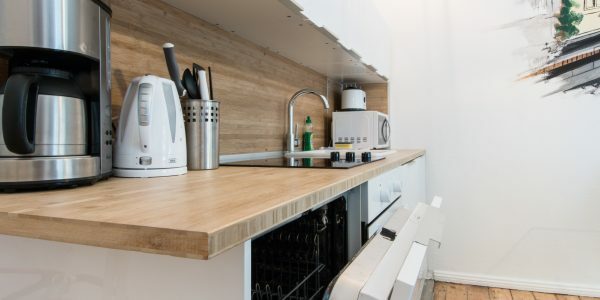 It is fully equipped and offers you for example a gas stove and -oven, a microwave, a toaster, a coffee maker and a dish washer. 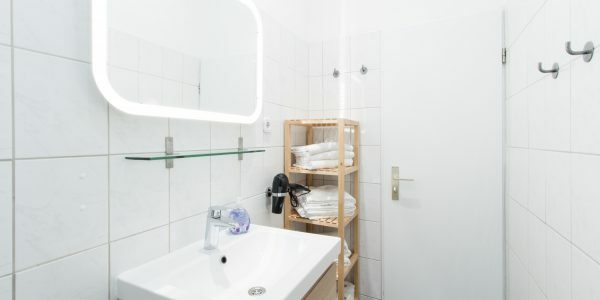 The bathroom is modern and offers you a shower cabin, toilet paper, fresh towels and bedding is always included in our price. 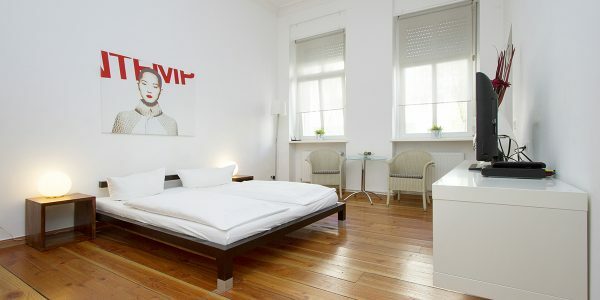 WIFI is also available and for free.